Berry Lemonade Smoothie with Country Time Lemonade Starters! Spring is here and what better way to celebrate with some delicious lemonade?! Growing up I always wanted to make my own lemonade stand with my sister. We would decorate signs and yell “lemonade!” at the top of our lungs at the passing cars! 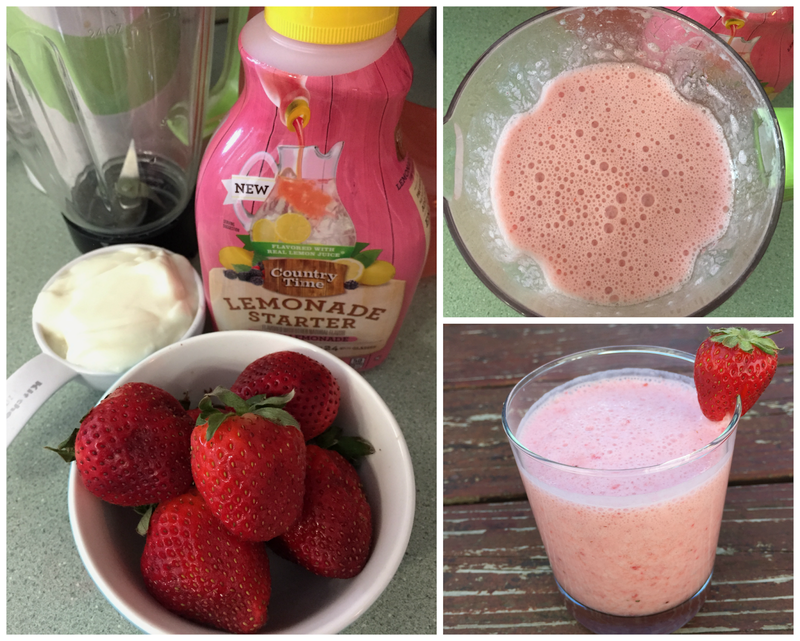 This spring I’m upping my lemonade game with a delicious Berry Lemonade smoothie! My smoothie is made with Country Time Lemonade Starters in berry lemonade flavor and is a perfect refreshing drink for spring and summer! Last weekend I tried the Country Time Lemonade Starters out at the Walmart demo and I was impressed! 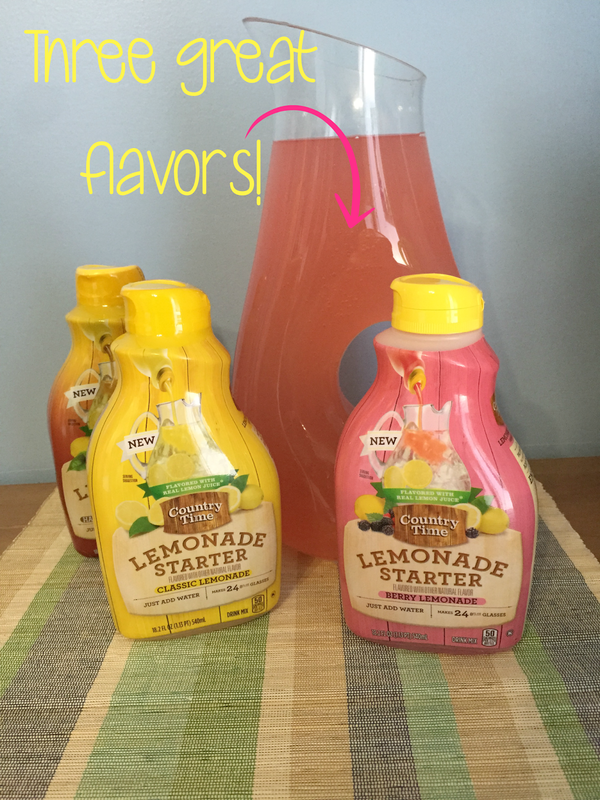 The lemonade mixes are the perfect addition to your spring cookout or BBQ and they are so easy and convenient to make! All you have to do is mix it with water! Country Time lemonade starters have 50% less sugar than regular soda and they are made with real lemon juice- yum! The best part is that you can make as much as you need at one time! You can make a whole pitcher or just one glass. This is perfect if you want a glass on the go, or if you use the lemonade starts to make a recipe- the leftover starter in the jar won’t go to waste because you can just use to make a single glass of lemonade! They come in three great flavors, Half Lemonade & Half Iced Tea, Classic Lemonade and Berry Lemonade. After mixing up test batches of each, I decided to use the berry lemonade flavor to make a special smoothie for my family! All you have to do it blend all the ingredients together until smooth, pour into your favorite smoothie glass and garnish with a strawberry! Drink right away! *For an extra lemon-ey flavor I made my lemonade a tiny bit stronger than the recipe on the bottle calls for. I wouldn’t recommend directly pouring the starter into your smoothie, though! 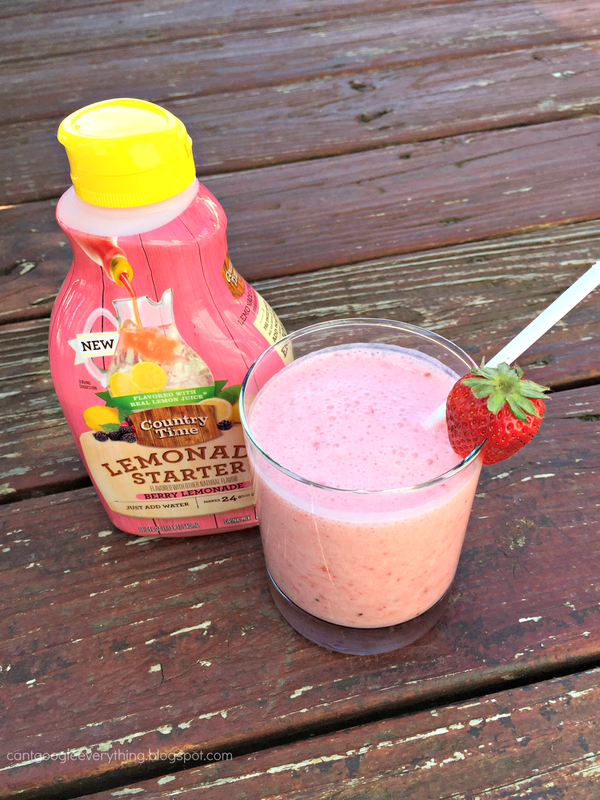 Mix up a glass of lemonade with just an extra dash of starter so the lemonade flavor really pops in your smoothie! Sit out on the porch and enjoy! 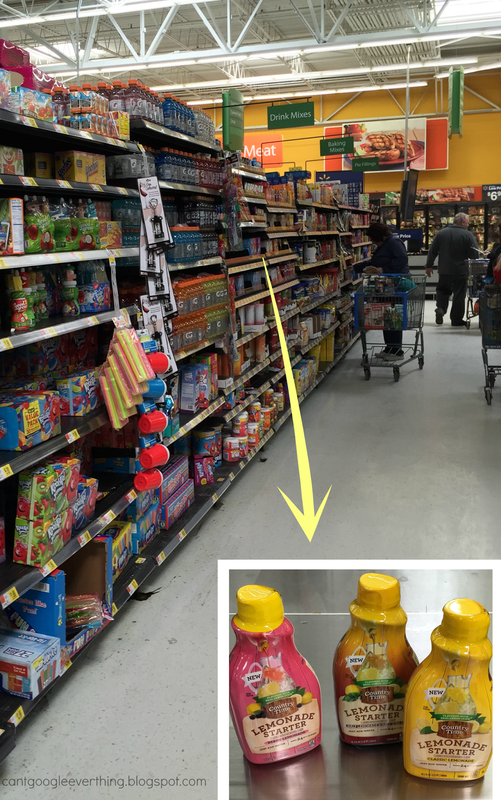 You can find Country Time Lemonade Starters in the juice aisle at Walmart in the drink mix section. Try all three flavors and let me know which one is your favorite! Thanks for checking out my Berry Lemonade Smoothie! I’d love to hear how you would use the lemonade starters- what’s your favorite lemonade recipe? 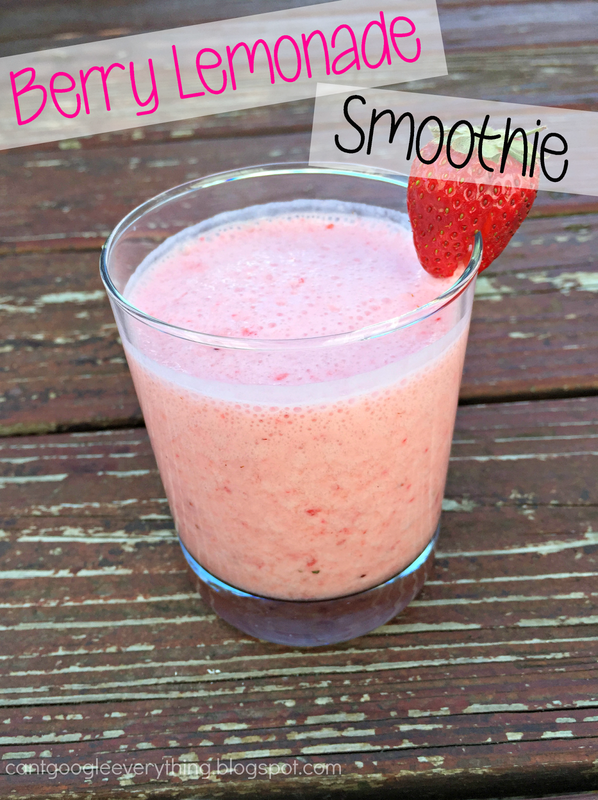 This smoothie sounds SO good! I love lemonade in the Summer. Oh no. I see we are starting the season where you post delicious drink recipes that I always intend to make and never do. If you were wondering, this season I speak of is from April until December, with a off-season series dedicated to a red drink for Valentines and a green one for St. Pats. That looks really good! I haven't seen those before. Will have to look for them!